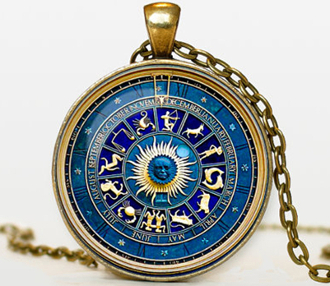 ZODIAC PENDANT NECKLACE. Bronze pendant diameter is 30 mm. Bronze necklace chain is 24”. Box included. Your source for very unique handcrafted necklace pendant jewelry. Nautical pendants, Steampunk pendants, Astrology pendants, Tree of Life jewelry pendant and necklaces, Space jewelry pendants, Galaxy jewelry, Animal pendants and necklaces, Art pendants, Unique pendants and more. Pendants, Pendants, Pendants, Pendants, Pendants,Pendants, Pendants, Pendants, Pendants, Pendant Necklace, Pendant Necklace, Pendant Necklace, Pendant Necklace,Pendant Necklace, Pendant Necklace, Pendant Necklace,Pendant Necklace, Pendant Necklace, Pendant Necklace, Necklaces for Necklaces for women, Necklaces for women, Necklaces for women, Necklaces for women, Necklaces for women, Necklaces for women, Necklaces for women, Necklaces for women, Necklaces for women, Necklaces for women, Necklaces for women, Necklaces for women, Fashion necklace, Fashion necklace, Fashion necklace, Fashion necklace, Fashion necklace, Fashion necklace,Fashion necklace, Fashion necklace, Fashion necklace, Fashion necklace, Fashion necklace , Fashion Necklace, Fashion Necklace,Fashion necklace, Handmade Jewelry, Handmade Jewelry, Handmade Jewelry, Handmade Jewelry, Handmade Jewelry, Handemade Jewelry, Handmade Jewelry, Handmade Jewelry, Handmade Jewelry, Handmade Jewelry, Handmade Jewelry, Handmade Jewelry, Handmade Jewelry, Handmade Jewelry, Handmade Jewelry, Nautica, Nautical, Nautical, Nautical ,Nautica, Nautical, Nautical, Nautical, unique gifts, unique gifts, unique gifts, unique gifts, unique gifts, unique gifts, unique gifts, unique gifts, unique gifts, unique gifts, unique gifts, unique gifts, unique gifts, unique gifts, zodiac, zodiac, zodiac, zodiac, zodiac, zodiac, zodiac, zodiac, zodiac.